I advise you, and all my children, my relatives, and whosoever receives this message, to be conscious of Allah, to remove your differences, and to strengthen your ties. I heard your grandfather, peace be upon him, say: "Reconciliation of your differences is more worthy than all prayers and all fasting." Fear Allah in relation to His House; do not abandon it as long as you live. It you should do that you would abandon your dignity. Maintain communication and exchange of opinion among yourselves. Beware of disunity and enmity. Do not desist from promoting good deeds and cautioning against bad ones. Should you do that,the worst among you would be your leaders, and you will call upon Allah without response. O Children of Abdul Mattaleb! Do not shed the blood of Muslims under the banner: The Imam has been assassinated! Only the assassin should be condemned to death. If I die of this stab of his, kill him with one similar stroke. Do not mutilate him! I have heard the Prophet, peace be upon him, say: "Mutilate not even a rabid dog." In the 40th year of Hijri, in the small hours of the morning of 19th Ramadan, Imam Ali (AS) was struck with a poisoned sword by the Kharijite Ibn Maljam while offering his prayers in the Masjid of Kufa. He died on the 21st day of Ramadan 40 A.H. and buried in Najaf-ul-Ashraf. 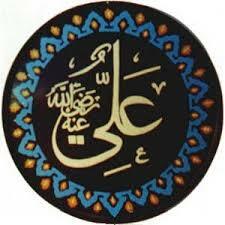 He was born in the House of Allah, the Kaaba, and martryed in the House of Allah, Masjid-e-Kufa. The Lion of Allah, the most brave and gentle Muslim after the Prophet (PBUH&HF) himself, began his glorious life with devotion to Allah and His Messenger, and ended it in the service of Islam.